Webbing Nets, also known as lashing nets, are a multi-purpose lightweight tension netting system that can be used in a variety of applications as a load restraining net. Webbing nets are multi-purpose, durable and extremely reliable nets ideally suited and extensively used within the transport and warehouse sectors for securing loads and especially when the loads are uneven. 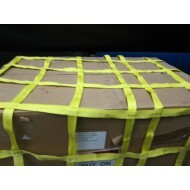 They can also be used within closed transport systems and containers as load restraining nets. 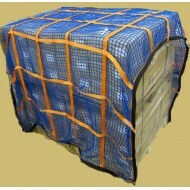 They are ideal for use in larger vehicles such as 4x4s, trucks or lorries as a partition net. These nets are available in a range of sizes, mesh dimensions and densities depending on your requirements. 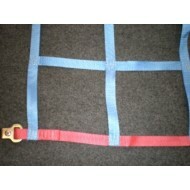 These nets are available in 25mm or 50mm width webbing. The nets also come finished with a variety of fittings depending on how it is going to be used and secured.